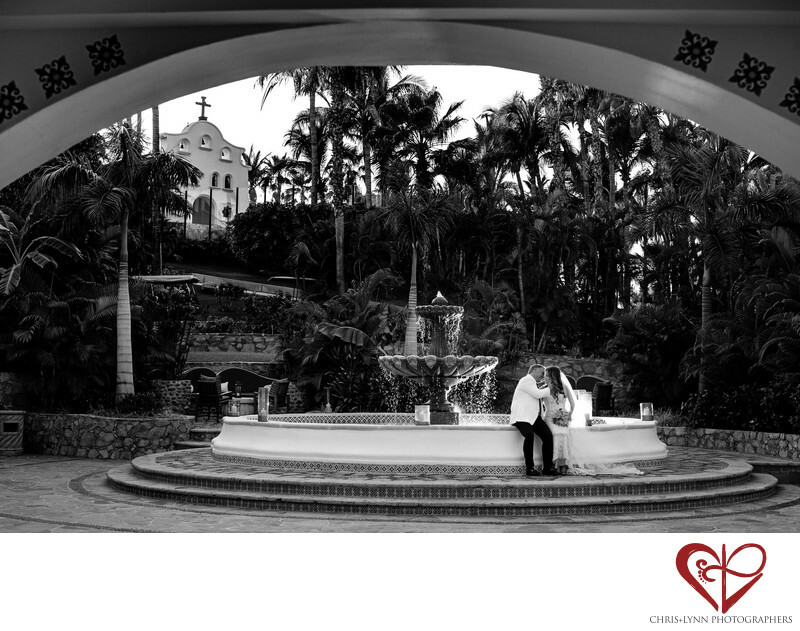 The One & Only Palmilla is the top luxury resort for destination weddings in Mexico for many reasons. The lush jungle gardens, the gorgeous white sand beaches, the hacienda styled villas, and the intimate privacy make couples feel like they have been whisked away somewhere truly magical. The personal service of the wedding team is also impeccable. Their experience in designing and planning weddings on the property allow brides to simply enjoy their day. They ensure that all the special details come together whether you are having your ceremony at the hilltop chapel, a 300-person Persian wedding on the South Lawn, or a oceanfront celebration at Turtle Beach. We love to explore the expansive grounds at One and Only Palmilla. There are so many beautiful places for wedding photography. In addition to the different beaches with their expansive views of the ocean and surrounding cliffs, we also love to shoot at the arches at the spa, around the reflecting pool at Agua Bar, and the secret spiral staircase to the bell tower. Throughout the property, there are winding palm-tree lined pathways, stone staircases, and fountains. This wedding photo of the bride and groom sitting by the fountain is framed by the arch to the pool and in the distance is the wedding chapel where they exchanged their vows. To separate the couple from the dark background as the light faded, we placed an off camera Canon 600EX-RTII Speedlite flash on the fountain behind them. 1/160; f/5.0; ISO 100; 50.0 mm.